The genre of racing simulation has become a pretty saturated market in the gaming community over the past year and games which allow you to realisticly experience racing has seen many improvements. Those improvements continue with the latest versions of rFactor which follows the virtual career of F1 drivers. One of the main points of this game/simulator is the high level of realism that users can expect to experience with this amazing racing game. The detailed graphics and realistic player controls are just the beginning. 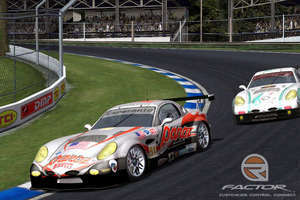 rFactor 1.255 is a shareware program and can be used as a demo to try the software until the free trial period has ended. A full version of the program is available after the trial period ends.